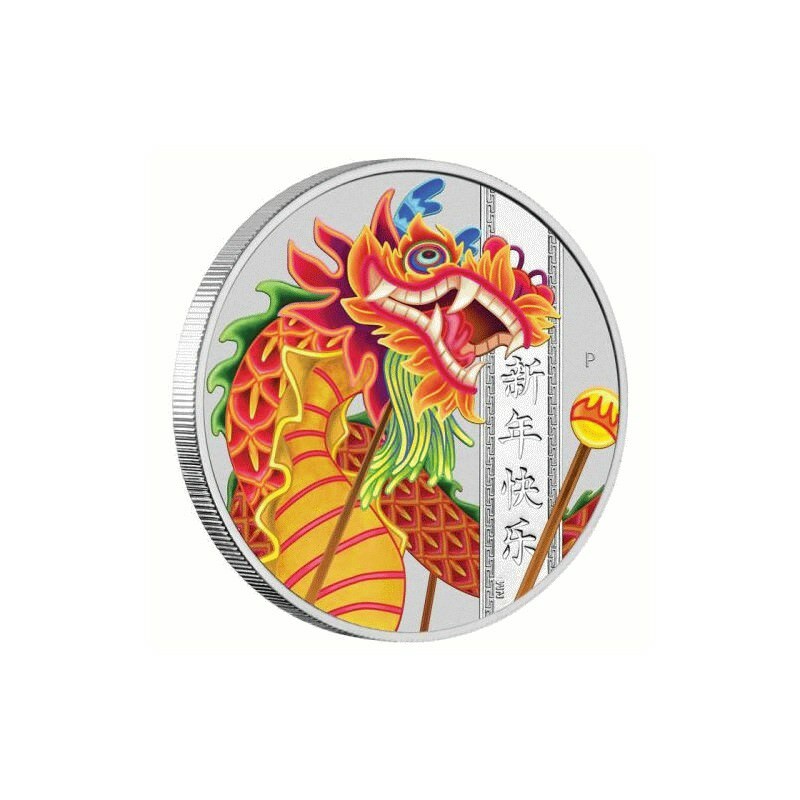 This beautifully coloured silver coin celebrates Chinese New Year, one of the most important celebrations for Chinese people across the globe. 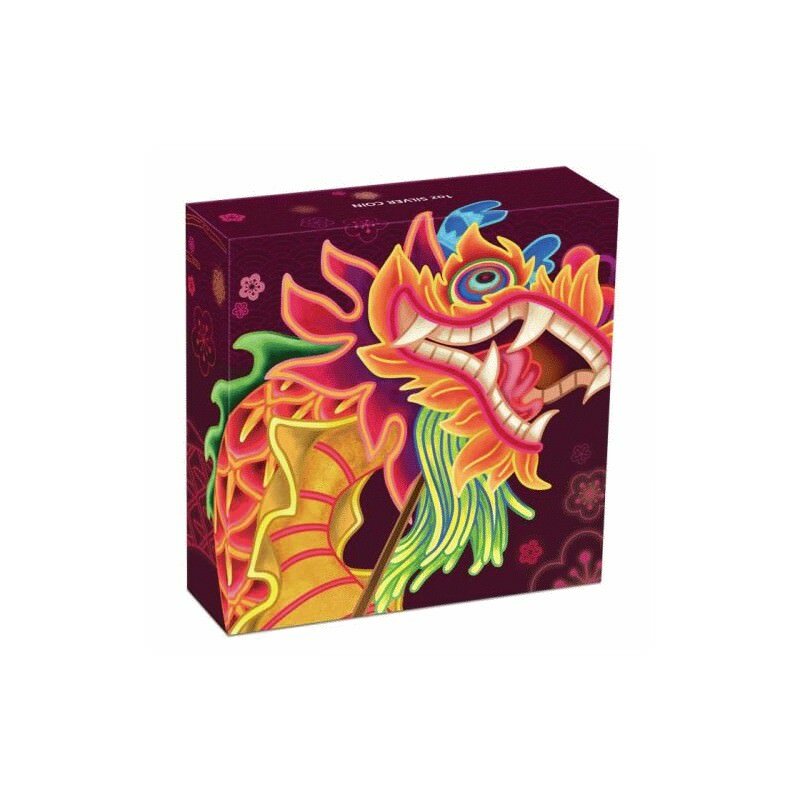 A time for families to reunite and honour deities and ancestors, Chinese New Year traditions celebrate auspicious symbols of wealth, good fortune and success such as the revered dragon. Chinese New Year dragon dances usher in good fortune with colourful and energetic performances that recreate traditional imagery, including the dragon chasing a flaming ‘pearl of enlightenment’. 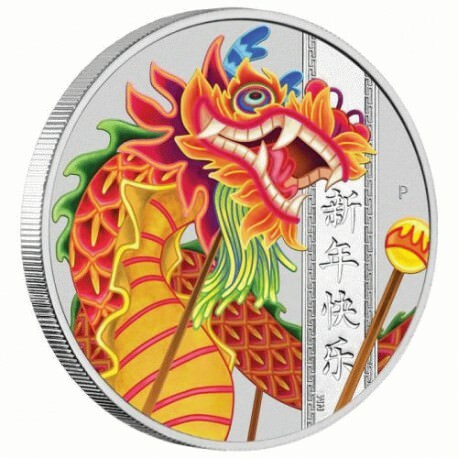 The reverse of the coin features a dragon with a depiction of a flaming pearl. Dragons are often portrayed pursuing this metaphor for wisdom and enlightenment in fine art, and the imagery is recreated in the popular Chinese New Year dragon dances. 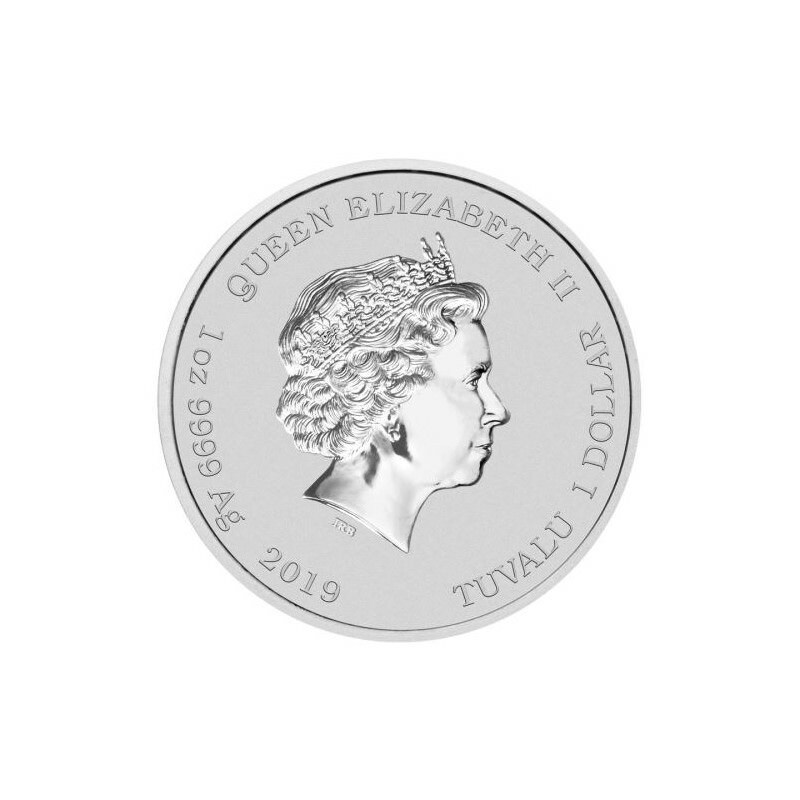 The design also includes the Chinese characters for ‘Happy New Year’ on a stylised banner and The Perth Mint’s traditional ‘P’ mintmark. 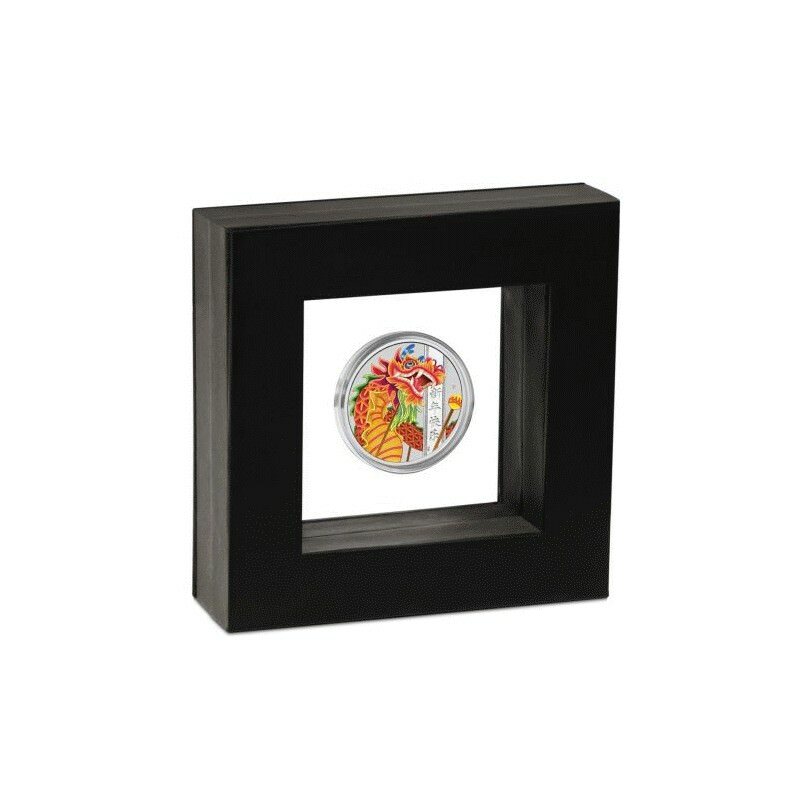 The coin is housed in a clear latex display case with a black frame and packaged in a themed shipper accompanied by a numbered Certificate of Authenticity.